Since joining Telus Corp. five years ago as the head of learning and collaboration, Dan Pontefract has since acquired an interesting new job title as he seeks to architect a new company culture for the Burnaby, B.C.-based telecommunications firm. In 2008, Pontefract steered Telus employees towards the use of collaborative digital technologies such as wikis and virtual worlds. He’s also trying to put employees closer to customers, including executives. Twice a year executives job shadow a front-line employee to fully understand what is happening in their customer service process. Every Monday morning, Telus CEO Darren Entwistle sends a report of all the escalations that made it to his desk the past week to all of Telus’ 40,000 employees. The goal being to learn how to solve customer problems earlier, before they escalate up to the top. Now Pontefract is the chief envisioner of the Telus transformation office, a new office tasked with reshaping the company’s leadership style and help clients achieve a more engaged and competitive culture too. 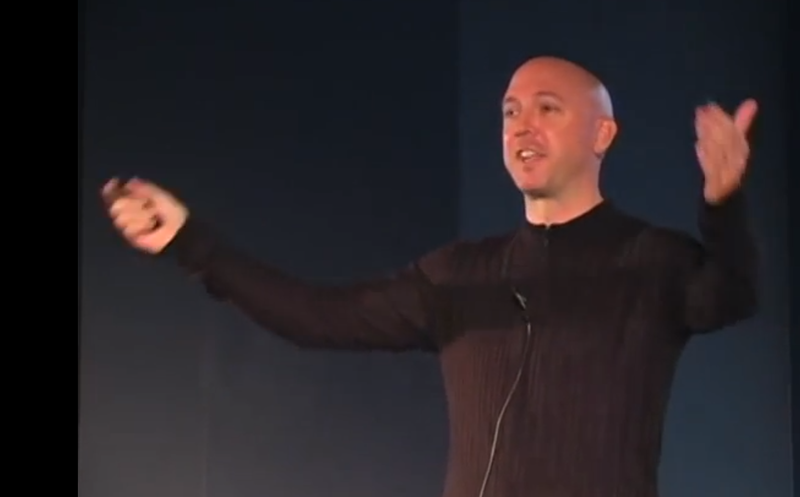 Dan Pontefract is also a speaker and author on the topic of creating engaged organizations. To help do that, Pontefract felt he had to move beyond the digital toolkit employees were using to have conversations, fractured across different platforms. So in December 2012 Telus invested in SAP SuccessFactors and within six months had most of its modules rolled out across the organization. That includes 22,000 employees (of 27,000 total Telus Canadian employees) using enterprise social networking software SAP Jam. 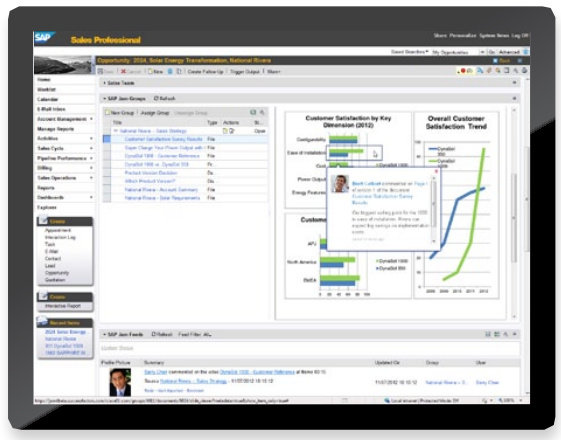 SAP acquired SuccessFactors, the human capital management software suite, two years ago. SAP Jam is a social layer driving employee engagement across the different aspects of the cloud-based software. Similar to using a version of Facebook just for your company, SAP Jam allows employees to create profiles and then share content with others. Employees can form groups and follow different news feeds to stay up to date on work projects. At Telus, Jam was the first module of the cloud-based SuccessFactors implemented. Doing that allowed employees to comment on different aspects of the suite as it was rolled out says Bob Elliott, managing director at SAP Canada. “The fact they rolled out SAP Jam as the foundation and then followed up with the other modules on top of it… was brilliant,” he says. While Telus rolled out Jam over a six-month period, it was doing it for 27,000 employees and wanted to pre-build much of the content to be perused by employees, he says. SAP has seen other clients roll out Jam in as little as one week. SAP Jam integrates with other SAP software products. At Telus, Pontefract has tapped Jam to complement employee training. The firm’s Leadership Now program that admits between 700 to 900 employees per year used to have a classroom format inviting employees to five-day workshops twice a year. Now there’s one face-to-face meeting and collaboration via digital tools, such as internal virtual world Telus Collaboration Platform, and SAP Jam has become a key piece of that since July 2013. Jam goes beyond that to use at other areas of Telus too. Pontefract recalls one discussion in a Jam group where Telus employees discussed the possibility of Verizon entering the Canadian market and how to communicate to the Canadian public about that possibility. It’s also being used to form communities around projects that are time-sensitive and has inspired some corporate blogging. Pontefract credits Jam in part for helping to boost employee engagement from 53 per cent five years ago to 83 per cent today, measured by employee polling. That’s an impressive boost, according to human relations consultant Marylka Empey, president of Trinity Associates Inc. But having a rate of above 50 per cent suggests Telus was already doing something right. SAP Jam has no shortage of competition in its category of socially-fueled, cloud-based talent management. To name just a few competitors, IBM Kanexa, Oracle Talent Cloud, the Waterloo, Ont. firm recently acquired by NetSuite TribeHR, and Salesforce.com’s Work.com formerly known as Rypple. Those recent acquisitions just demonstrate how the social enterprise software space is growing, Elliott says. But what advantage does SAP offer? SAP Jam has seen 850 per cent growth over the last six quarters to more than 11 million users, he adds. Plus, 60 per cent of those users are corporate paid subscribers. There’s a couple of areas where Pontefract seems room for improvement with Jam. While migrating Telus’ HR suite to the cloud, he finds it hard to use the search function to find the information that he’s looking for, and thinks it has to be better integrated and include career functions or other aspects of employee profiles. Plus he wants to see the SuccessFactors Learning module more integrated with Jam. “I believe in pervasive learning, where learning is equal parts formal, informal, and social, so to go to a different module for the formal part seems 1920s,” he says. Of course Pontefract is happy with SuccessFactors and the results he’s seen with it. He says Telus chose the software to enhance its “awesome culture” of collaboration and openness.